These are the newest “Tie Tack style stock tie pins, which are the easiest to attach. One poke through the stock tie layers will hold the tie in place with a secure butterfly clip backing. This collection of stock tie pins are the perfect scale for our ruffled stock ties when pinned on the collar keeper. 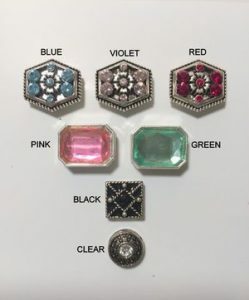 Most of the stock tie pins feature crystals in their individual designs, to add a bit of bling to complete the look. The black square pin is the exception with a shinny black enamel finish. 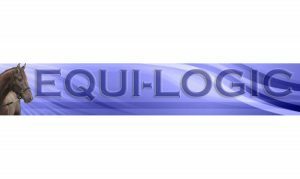 Equi-Logic Stock tie pins change frequently, ask about new styles not pictured. Pre-folded and sewn to stay perfect. Adjustable fold to fit any pocket, stays in place. Washable Available in Cotton Pique, Poly Cotton Pincord, Poly Taffeta Satin Check and silver stripe available Matching Ruffled Stockties available.